WE ARE BUSINESS AWARD SPECIALISTS. WE HELP YOU FIND BUSINESS AWARDS TO ENTER, AND WE ENTER YOU INTO THEM. 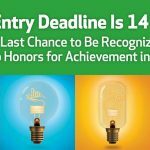 DOWNLOAD A CUSTOM LIST OF AWARDS YOU COULD ENTER! THINKING ABOUT ENTERING BUSINESS AWARDS? WE CAN HELP! Business awards are a fantastic marketing and business growth strategy, and can give you a huge advantage over your competitors. Business awards can help in so many ways, including providing you with the opportunity to reflect and articulate your business achievements to date, gain free media coverage, network and make valuable strategic partnerships, build your profile and credibility in the market place, increase staff morale and motivation and generally provide you with a powerful platform to share your message. We have won many local, state and national awards over the years and have benefitted greatly from our experiences. Now we get a real kick out of helping individuals and businesses to enter business awards. Some advertising & PR agencies even completely outsource their client’s business award applications to us! We’ll make the process of entering business awards as painless as possible, and will seriously up your chances of winning, drawing on our years of experience, interviewing, research and writing skills, and insights into what judges are looking for. So what are you waiting for? Find out what awards you could enter by completing a quick and easy online form, and then download a PDF list with awards you could enter for only AU$29! Don’t know which awards program you want to enter? Complete our simple online form and discover what awards you could enter! Identified a business award you want to enter? Let’s get started! Contact us for a free, no obligation quote for us to prepare your awards submission. Want to enter lots of awards? Let us help you develop a year long awards submission program and become a key marketing partner for your business. Yvette is a highly professional service provider who is a pleasure to deal with. She is extremely knowledgable and is very efficient in putting applications together. 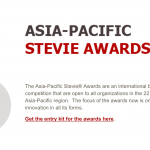 Our business has benefited immensely from winning the Stevie Awards as it has raised our profile and our brand. We are excited to share that we triumphed in our category. Thank you for your valuable input into assisting us to win. We are very happy. Yvette's showed us why she is considered a leader in the Australian business community. Her dedication and commitment to our task met ALL our expectations. Thanks Yvette.....I look forward to working with you in the future. Just returned from Canberra to find an envelope inviting us to the Small Business Champions Dinner in April having made finalists in both categories entered. We can’t wait to enter more with you! Thanks so much for all your help Steven. The level of service (including what Louise has produced) has been really fantastic. 1) We know business awards well – it’s all we do! We’re not just journalist and we’re not just communications people who can string some nice words together. We combine creative flair with business acumen and familiarity with a multitude of industries and business programs, including the types of things judges generally look for. We’ll extract key information from you, and won’t be afraid to tell you if you’re not ready for a particular program, or need to complete certain actions in your item to become ready. 2) It can be hard to write ‘about yourself’ or your organisation. Sometimes you are just too close to the subject matter, and need a third party to extract and articulate what it is that makes you special. A comment we get from our clients is ‘Wow! You’ve made me sound amazing!’ That’s because you already are amazing, but we’ve got a clever knack of helping you believe it too. 3) You may be too busy running your business and not have enough time to prepare a business award submission. Better you submit it, then have yet another half finished application sitting on your hard drive this year right? Finding the time to run a business or do your job can be tough enough let alone getting around to entering the company or yourself in business awards. So let us do it for you and get the job done once and for all! 4) You will likely increase your chances of winning the awards! We’re professionals and we get the job done. Many of our clients reach finalist or winning stages. We’ll do all we can to support you in your journey to the top. Every person has a story. The world is waiting to hear yours.